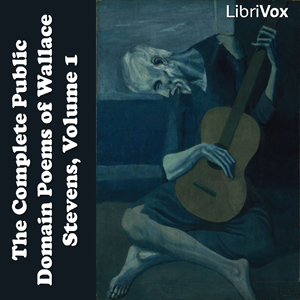 A collection of Wallace Stevens poems written before 1923. Stevens trained to be a lawyer. Within eleven years after this series of poems were written, he was vice-president at the Hartford Accident and Indemnity Company in Connecticut. He continued to pursue a quiet life of poetry and correspondence and for the remainder of his life he nurtured his contemplative habit of observation and writing as he walked from home to work and back again. Few at Hartford knew of his world acclaim as a poet. While his major work is considered to have been written when he was much older, many of these early poems are firm classics in the American poetic canon, including: “Anecdote of the Jar,” “The Emperor of Ice Cream,” “Peter Quince at the Clavier,” “Sunday Morning,” “The Snow Man,” “Thirteen Ways of Looking at a Blackbird,” and many others. Stevens died of cancer in 1955, shortly after receiving that year’s Pulitzer Prize for poetry.